An interview with the last speaker of a language. A chronicle of the final seven days of a town that is about to be razed to the ground by an invading army. The lonely voyage of an elephant from Kerala to a princess's palace in Morocco. A fabled cook who flavours his food with precious stones. A coterie of international diplomats trapped in near-Earth orbit. 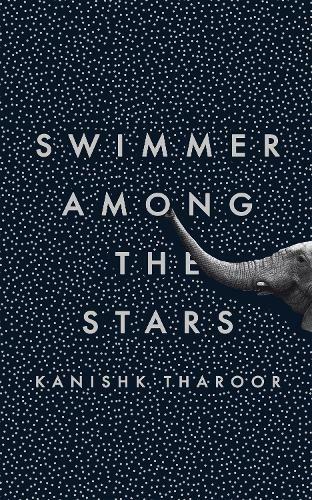 The stories in Swimmer Among the Stars reveal an extraordinary young storyteller in Kanishk Tharoor, whose tales emerge from a tradition that includes the creators of the Arabian Nights, Italo Calvino, Jorge Luis Borges, Angela Carter and other ancient and modern masters of the fable. This was recommended by the fine folk at Forum Books in Corbridge, and for that I’m very thankful.